When examining the state of the discourse of Muslims pertaining to their religion,one cannot help but be amazed by the sheer amount of time that is spent bickering over relatively trivial matters. Often times, this comes from a good place with Muslims being eager to ensure that their own practices have religious legitimacy. Indeed, one of the distinguishing features of Islam on a religion is its emphasis on the authenticity of its primary sources (the Qur’an and the prophetic teachings) and the reliable transmission of both. At the same time, some Muslims have spent so much time hair splitting over the presence of particular practices in their sources that they ignore the clear and comprehensive guidance contained therein. When debating arguing about particular practices, one side will demand specific evidence prompting the other will resort to using unreliable reports to justifying themselves resulting in complete disarray. To begin, it is certain that all of our religious practices must be rooted (ma’sul) in reliably transmitted sources as has been explained in a previous article. At the same time, this does not in anyway apply that every particular action that people choose to do must have been done by the prophet Muhammad (P.B.U.H) or be ordered by him. For example, Muslims often bicker about reciting particular sections of the Qur’an at particular times with one side demanding that the other produce a hadith where the prophet (P.B.U.H.) said “recite surah/ayah xyz at such and such time”, and in desperation the other side will bring forward unreliable narrations to do so. The truth of the matter is that both sides are mistaken and reveal a deep lack of knowledge and understanding concerning the deen and its practice. One of the distinguishing features of both the Qur’an and the reliable prophetic sayings (Ahadith) is that both are simultaneously concise and comprehensive. If Muslims reflected on this point, they would abandon most of their argumentation in favor of more significant matters. 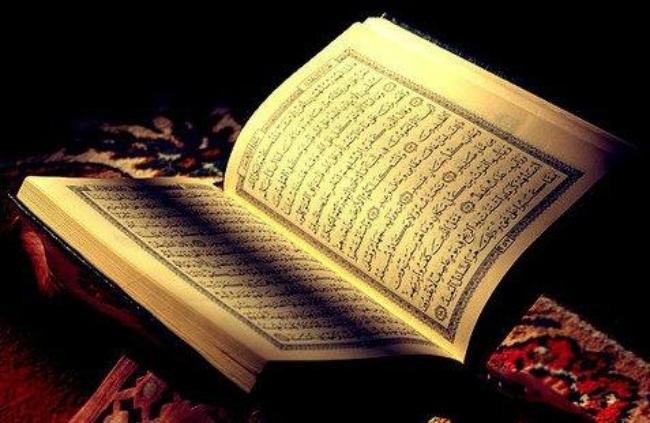 For example, there exists a dispute concerning the authenticity of the narrations concerning the narrations recommending the recitation of surah al-kahf on Fridays. The answer is an emphatic “no” because such an action has basis in sources and principles of the religion which are beyond reproach. In particular, it is well known that recitation of any part of the Qur’an is a meritorious act and that the prophet stated: “Certainly the most beloved of actions to Allah are the most lasting if only little” (muttafaq alayhi). These two facts provide more than enough basis for anyone wishing to recite surah al-kahf or any other part of the Qur’an at any time they choose. Labeling such a practice a bid’ah because it is found in questionable narrations makes no more sense than condemning Muslims who participate in charitable campaigns because Christians also do so on the basis of scriptures we do not believe in. Of course, Muslims cannot hope to improve the state of their religious discourse if they do not understand the need to focus more on firmly rooted principles as opposed to relatively insignificant particularities. When reflecting on the needless argumentation that so proliferates in the Muslim community, one cannot help but remember the words of the messenger of Allah warning about just this. In a famous hadith, he stated “Leave me with what I have left you. People before you were only destroyed due to their questions and bickering concerning their prophets . . .” (Muttafaq alayhi). Muslims have a noble impulse to attempt to find specific justification for everything that they do in the teachings of God and his messenger. While there is certainly an admirable intention in this, it represents a fundamental misunderstanding of his message. The purpose of the religion is not to micromanage every specific aspect of our lives as some would have us believe; rather, we are given explicit boundaries (Hudud) and allowed the freedom to act therein. This results in a religion that is simultaneously firm since it remains true to itself, yet flexible since it establishes avenues toward multiple forms of goodness. When Muslims start to confidently pursue these, there is a chance of genuine advancement.